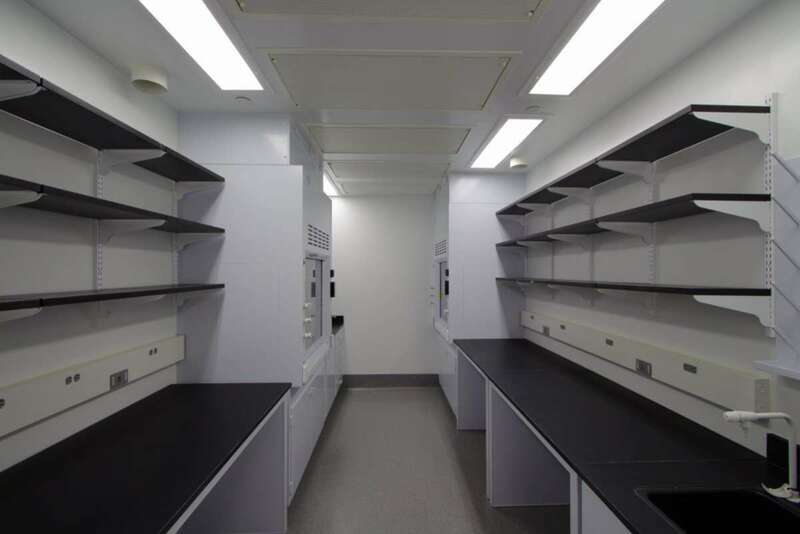 This lab assists the Environmental Research Laboratory, and was completed by me as the project's Architect of Record while at Perkins and Will. 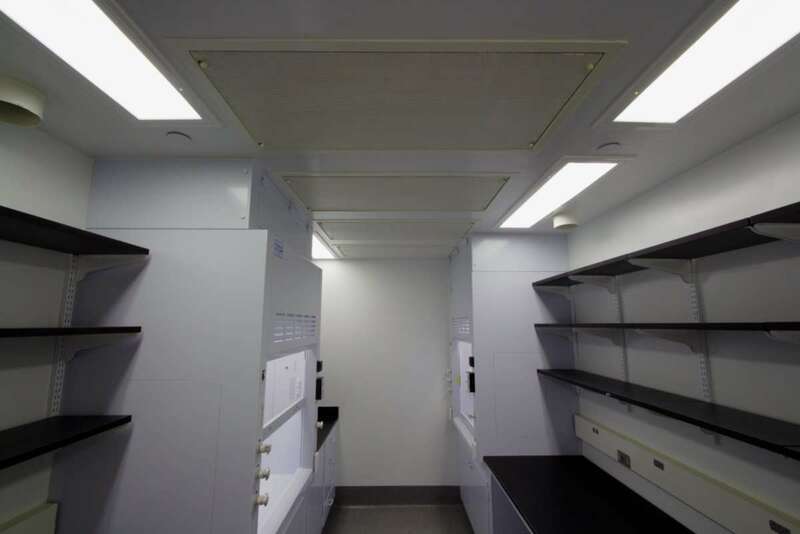 It is designed with air turnover rates and HEPA filtration commensurate with ISO 7 clean room standards. It also specified non-exposed iron surface materials to reduce contamination of the analysis. 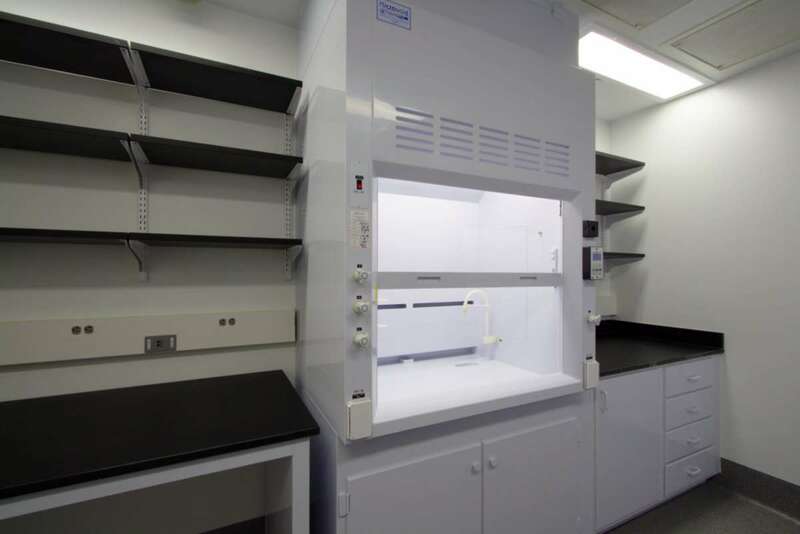 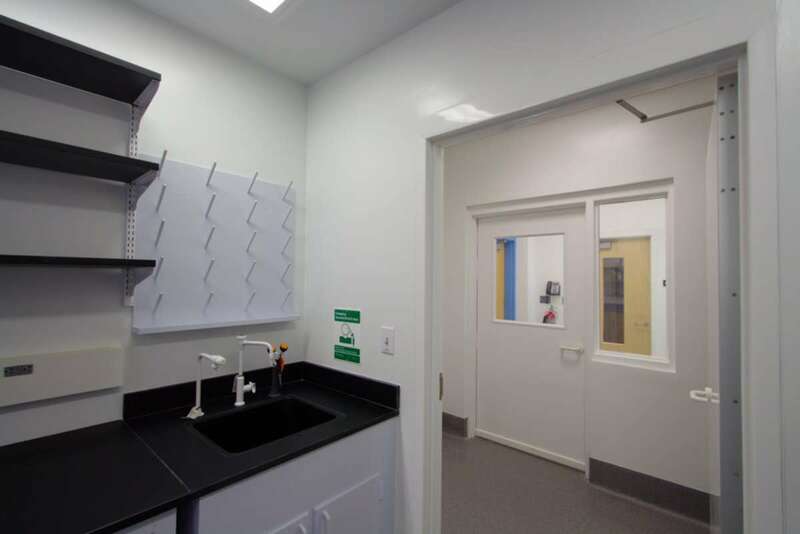 Acid resistant materials include polypropylene fume hoods, resinous flooring, epoxy bench tops, and FRP doors.